How are you feeling today? 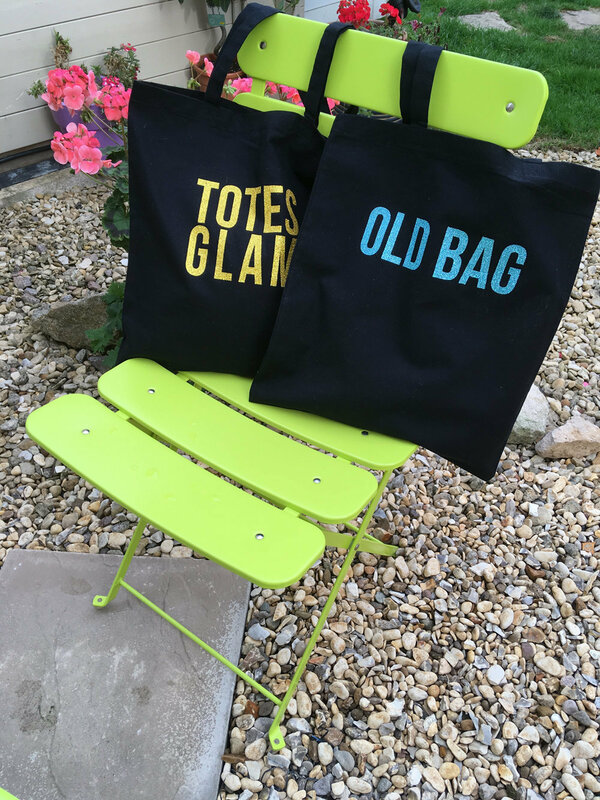 Like an "OLD BAG" or simply "TOTES GLAM"? Wear this cheeky tote shopper according to your mood! Or celebrate a friend's milestone birthday and present your gift in a reusable environmentally friendly "Old Bag"/ "Totes Glam" Tote Bag. Choose from "Totes Glam" in gold or charcoal rainbow glitter vinyl - both professionally heat pressed for a highly durable finish. Choose "Old Bag" text in white or royal blue flock vinyl - other colours are possible - please convo to request currently available options. Quality bag is made from 5oz weight black cotton, measures 38cm wide x 42cm high and holds a capacity of 15 Litres, with 32.5cm long handles.